An engineering degree can open many professional doors and guarantee the beginning of a stellar career. Individuals that want to pursue this path have two options to choose among – standard programs and online engineering degrees. Both of these approaches come with specific advantages but online degrees seem to be becoming more and more popular. Are you looking for an opportunity to establish your career in one of the multiple engineering fields? Knowing how to select the right online engineering degree program will be one of the essentials for setting yourself apart, gaining competitive advantage and discovering better employment opportunities. The following guide is created to help you understand which factors matter the most in terms of selecting the right engineering degree. Using this information, you’ll be capable of choosing the program that will guarantee the best professional opportunities in the years to come. Online degrees provided by accredited institutions deliver a vast range of advantages. The flexibility and convenience obviously rank as the top benefits that will be unavailable through a standard program. Online degrees can be obtained regardless of your location. You can choose a reputable school that is located halfway across the country. There’s no need to relocate and deal with travel expenses in order to get the degree. An accredited online engineering degree program will provide the same benefits minus the hassle. Online programs are much more affordable than being a full-time student. Campus expenses can easily add up for full-time engineering students. A busy person on the go that is also concerned about the expenditure will be happy about the opportunities provided by online programs. These mainly appeal to the individuals that are working while studying and the ones that want to obtain a quality education on a budget. Since the institution providing the engineering degree is accredited, the diploma that you get in the end will have the same value as the diploma of a full-time student. This is the main reason why choosing the right online degree provider is so vitally important. Very often, the same professors will be responsible for teaching classes and for crafting the online courses. Finally, there are numerous opportunities to choose among. Online programs are available for individuals interested in both bachelor’s and in master’s degrees. Continued education in engineering disciplines is essential for obtaining better professional opportunities. Thus, online programs are equally suitable for people who are just getting started and for the ones that already have experience in the field of engineering. Now that we’ve established just how lucrative online engineering programs are, it’s time to take a look at the factors that determine the quality of each opportunity. Doing careful preliminary research is essential for making the most of education options by choosing the most relevant ones. Some factors play a much more important role than others. Here’s a list of top 10 things to look for in an online engineering degree. The structure of the course and the topics that it covers are obviously the factors that will be most determining for the quality of the program. The best approach is to sit down and compare the different curricula side by side. Look at the topics that seem to be a common thing and the ones that make one program or another stand out. You may also want to compare the program to the national curriculum standards for the particular discipline. Official websites will feature information about the national educational standards and you can download the important data from there. Will full-time professors and some of the school’s best academics be involved in the online program? Learn who’s responsible for the development of the online engineering program curriculum. Having experienced faculty members involved will enable you to learn more and it will also boost your overall satisfaction with the program. The reputation of the school is obviously very important but you should look at the opportunities that give you the best practical skills. Practical skills rather than theory will determine your competitiveness on the job market and enable you to land a better gig. After you narrow it down to several possibilities that you’re interested in, it’s time to take a look at the school’s reputation. The first step in the right direction involves figuring out whether the school is accredited. Once you get this information, you’ll have to compare the reputations of different universities. You can find a lot of data online and you can also learn more about the way in which employers perceive the colleges and their graduates. Though the price of the program is far from the most important factor, it will certainly impact your final decision. Look at the fee and at the financial aid opportunities available. Some expensive programs may feature great opportunities for decreasing the overall cost of your online education. If you’re interested in a federal financial aid opportunity, you’ll have to make sure that the particular program is eligible for such a program. Will a teacher or a tutor be ready to offer assistance? Online instruction and personal attention will help you make the most of the program. Figure out whether you’ll get enough time to interact with an actual instructor. You should also take a look at the manner in which student assessment takes place. How will your knowledge be tested? You need to get information about the types of tests and the number of assessment procedures that students will go through during the course. Getting enough feedback apart from a score will also be helpful in terms of enhanced learning in the future. Traditional campus-based studies are characterized by the availability of multiple student services. The fact that you’ve chosen an online program doesn’t mean that you shouldn’t have access to at least some of those opportunities. Some online programs come with extensive libraries of study materials, additional tutoring options and even career guidance. Try to figure out whether any of these possibilities are available before signing up for the course. All of your academic activities will be taking place online. Thus, the technology and the system have to be user-friendly and convenient. Will there be special software that students will use to go through the course? What kind of technology will students need to take the course (a computer, high speed internet, etc)? Look for these answers to make sure that the degree is the right one for you. The last thing you can do to make the decision involves taking a look at online college rankings. These can be beneficial, especially if you can’t make up your mind between two or three programs. Many reputable agencies and non-profit organizations create their online college rankings. Look for such comparisons and use them as a guideline. The difference in degrees obtained through online programs is the same as the difference in degrees obtained by full-time students. When it comes to engineering professions, continued education is essential for gaining access to better-paid and more reputable work opportunities. Many accredited institutions have both types of programs available. An online bachelor’s degree in engineering can be found in nearly every sub-field of interest (from electrical engineering to software engineering). The bachelor’s degree is usually the entry-level requirement for the majority of jobs in the engineering field. It is also needed by anyone who wants to continue studying and is interested in obtained a bachelor’s degree. An online bachelor’s program in any of the engineering fields can be obtained in anywhere between four and five years. There will be some admission requirements, as well (usually a high school diploma). An online master’s program will usually necessitate between two and three years for completion (there could be shorter programs in some fields). As already mentioned, having a bachelor’s degree (either obtained through an online program or full-time campus studies) will be a prerequisite for enrolling in the program. Individuals interested in these programs will end up having either a Master of Engineering or a Master of Science Degree, depending on the discipline. Both of these can lay the foundations of a successful career in the respective engineering field. Engineering is a very broad field that offers dozens of specialization opportunities. Some engineering degrees happen to be much more popular than others and they are the choice of preference for thousands of students. The programs have their specifics and they can be used to establish a career in a particular field. Here are some of the most popular online engineering degree programs, the courses associated to each and the professional benefits that students can expect to enjoy upon the completion of the respective program. An online mechanical engineering degree focuses on the skills needed to design and manufacture fully-functional mechanical products, including machinery components. A number of schools provide online mechanical engineering degrees that are accredited by the Accreditation Board of Engineering and Technology (ABET). A mechanical engineering student can expect to learn a vast range of skills in the fields of physics and mechanics. Kinematics, thermodynamics and the main principles of dynamics are usually explored under all programs that provide a mechanical engineering degree. Mechanical engineering is one of the oldest disciplines in the field. Regardless of technological advances, the main principles of physics that guide the work of mechanical engineers haven’t changed. The program is really interesting since basic physics combines with modern technology to give students a lot of essential information, theoretical background and practical understanding of mechanical engineering. Upon the completion of the program, students will have all of the necessary skills to deal with machinery operation problems and to manufacture new components or fully-functional machines. Individuals that have a degree in mechanical engineering can pursue several different career paths. These include aerospace design and manufacturing, motor vehicle design, infrastructural development, marine development and even army work. A person having the degree can also work as a contracting civil engineer, a maintenance engineer, a patent attorney or a production manager. An individual that has a bachelor’s degree in mechanical engineering and works as a mechanical engineer can expect to earn between 50,265 and 88,986 dollars per year, PayScale reported. The average starting salary for an individual having a master’s degree exceeds 66,000 dollars. Forbes magazine reports that individuals having a mechanical engineering degree are actually among the professionals that enjoy the highest starting salaries, regardless of the particular job that they choose. This is just one of the perks and a big reason for choosing the particular academic discipline. Individuals that have a degree in electrical engineering will typically deal with energy production, the distribution of energy, as well as information processing and electrical distribution network management. This is another highly practical degree that can set a young individual on the path to exceptional professional success. Electrical engineers are usually responsible for the development of really complex electrical equipment. As a result, they need to have tons of practical skills. All of the essential information will be provided during an online training program. The courses and the curriculum of this program is much more specialized than what general engineering students go through. Chemistry and physics lay the foundations. Once the base courses are completed, the students will move on to other topics like electronics, power system and electromagnetics. In essence, the fundamentals of the program cover electricity, electric power circuits and more advanced fields like digital electronics. The professionals that obtain such a degree may pursue a career in numerous fields including broadcasting, electric power, telecommunications, bioengineering, transportation, manufacturing and computers. There will be relatively small growth in the demand for electrical engineers but the lack of qualified professionals leaves many jobs vacant. In addition, individuals that have an electrical engineering degree will benefit from a lucrative salary. An electrical engineer in the US can expect to earn a median annual salary of 69,367 dollars, PayScale reports. The sum increases with further qualification and experience. It could potentially reach 103,855 dollars. Electrical engineers employed in other industries earn great salaries, as well. An individual employed in the computers and hardware field can earn 103,000 dollars per year. The professionals employed in the aerospace field earn approximately 102,000 dollars per year. An online civil engineering program will give you the theoretical and the practical knowledge needed to solve some of the biggest problems in the field of civil engineering. Civil engineers are mostly responsible for urban planning and construction. They work contributes to better organization and a vast range of communal benefits. A bachelor’s degree in civil engineering is the absolute minimum. It can prepare young professionals to establish their career or to pursue specialization in various fields like resources, transportation, structural, water or environmental engineering. Anyone who’s interested in pursuing an online civil engineering degree will need to be ready for many courses in mathematics and sciences. These courses will enable students to take on really huge urban projects and suggest viable solutions for the biggest problems at hand. It’s important to keep in mind that the majority of online civil engineering programs have an offline component, as well. This discipline will require students to use the university campus lab for practical exercises. Thus, it’s important to assess the possibility in advance and figure out which university offers the best conditions. The expected growth in the demand for civil engineering professionals is 19 percent, which provides some excellent employment opportunities. The average annual salary of a civil engineer 60,951 dollars and the maximum can reach up to 90.896 dollars, PayScale reports. Civil engineers can pursue other careers, as well. A construction manager earns a median annual salary of 93,900 dollars and an engineering manager can earn the impressive 129,350 dollars per year. Petroleum engineering is a rapidly-expanding field and a degree in this niche can guarantee really attractive professional opportunities. As a result, many colleges have come up with their online programs, enabling students to obtain the qualification needed for a successful career in the field. Although some schools provide online bachelor’s degrees in the fields of petroleum engineering, most of the programs result in master’s certification. The programs prepare students for managerial work in drilling, oil production and other critical fields of the petroleum industry. Just like in the case of civil engineering, students may be required to participate in lab sessions on the college grounds. The best programs combine an online studying and an offline component that focuses on gaining practical skills. All the students that have a bachelor’s degree in any engineering discipline a eligible to pursue a master’s program in petroleum engineering. Individuals that don’t have a bachelor’s degree in petroleum engineering will need to take a couple of additional courses like transport processes, reservoir engineering and formations. A master’s program that’s obtained online will typically require two years. Individuals that opt for the master’s degree will not be required to complete an offline component of the program. Most of the practical training takes place during the bachelor’s program. A petroleum engineer in the US can expect to earn a median annual salary of 99,349 dollars, PayScale reports. With experience and further qualification, a professional can earn a spectacular salary of 192,070 dollars per year. A reservoir engineer (a professional that’s also expected to have a petroleum engineering salary) will earn a salary in the range from 82,414 to 185,468 dollars per year. The job outlook for petroleum engineers is positive. The demand for such professionals is expected to grow by 26 percent in the years until 2020. 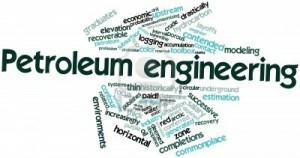 The oil and gas industries have the highest demand for petroleum engineers. Such professionals can also expect to find employment in management companies, chemical manufacturing facilities and scientific research service providers. Both bachelor and master programs are available online for the individuals that are interested in starting a career in the field of software engineering. Very promising and in high demand, this professional path is the perfect choice for the technologically-savvy individual. Individuals that obtain an online software engineering degree become capable of developing software products and they also acquire the skills necessary for software analysis, data storage and system verification. Anyone who’s interested in becoming an app developer, a software analyst, a mobile app developer, a software engineer or a database administrator will need to have at least a bachelor’s degree in the field of software engineering. Some universities have an offline portion of their training courses, as well. The offline portion focuses predominantly on exercises in the university’s computer labs. These are needed to give students additional practical skills and hands-on experience. The demand for experienced software engineers and developers is currently high and it’s expected to continue growing in the years to come. These professionals also benefit from lucrative salaries. Software engineers earn a median annual salary of 76,074 dollars. The best-paid professionals in the niche can expect to earn up to 117,267 dollars. The online computer engineering programs give students access to courses that discuss traditional electrical engineering and the relevant aspects of computer science. It’s important to keep in mind that computer engineering students need more powerful hardware because of the nature of the studies. Bachelor’s degrees and master programs are both available online for the individuals that have a particular interest in the field of computer engineering. Just like in the case of other programs, obtaining a bachelor’s degree will require approximately four years and a master’s degree will become available after two years of online studies. Individuals interested in computer engineering will learn about both hardware and software systems. Once a degree is obtained, the students can choose among several career options. The most popular ones include the profession of testing engineers, hardware engineers, system analysts, information technology consultants and online software engineers. An individual that has a degree in the field of computer engineering (with hardware specialization) can expect to earn a median annual salary of 70,277 dollars, PayScale reports. Senior computer engineers earn up to 111,662 dollars per year. A software engineer will earn a median annual salary of 76,074 dollars. Online industrial engineering programs give students highly specialized skills that increase their workplace competitiveness. Such programs are especially suitable for students that have a general engineering degree and are looking for a practical and very specific master’s program. Most of the industrial engineering programs online result in obtaining a master’s degree. Students should have already learned the basics of this field like math and physics. The online industrial engineering degree will take the academic experience to the next level. Individuals that have an industrial engineering degree can pursue a vast range of career options. They’ll find employment in governmental agencies, automobile manufacturing companies or even businesses that deal with appliance development. Individuals that have an industrial engineering degree can expect to earn a median annual salary of 62,447 dollars. The best-paid professionals in the niche will earn a much higher salary that can reach 88,326 dollars. The best-paid professionals having industrial engineering degrees are IT project managers. The salaries of these experts are in the range from 95,145 to 124,603 dollars per year. Since chemical engineering degrees usually have lab requirements that have to be completed before graduation, most of the online programs will also feature an offline portion. Choose universities accordingly! This is a science-intensive education opportunity. It brings math, chemistry and physics together. Chemical engineering students learn what it takes to produce safe foods, clothing, a vast range of materials and even energy. Both bachelor and master programs in the field of electrical engineering are available online. This is a great academic choice because the demand for chemical engineers is expected to grow significantly in the years until 2020. Chemical engineers can find employment in numerous industries including alternative energy production, the food industry and biotechnologies. 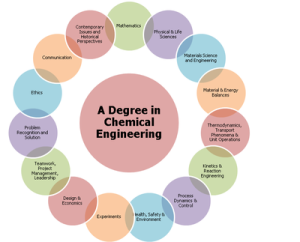 Individuals that have a degree in chemical engineering can expect to earn an average of 71,845 dollars. Senior chemical engineers earn up to 120,699 dollars. Individuals that work as process engineering managers are the best paid chemical engineering graduates. The median annual salary for such professionals is 100,573 dollars. Environmental engineers are another group of professionals in high demand. The environmental processing skills obtained during the education process are essential for helping students deal with real environmental problems. Finding an environmental engineering program that is 100 percent computer-based will be a difficult task. Most of these programs require hands-on experience that involves lab work. These programs combine traditional engineering components, sciences, political science and public health studies. The individuals that complete the studies successfully and obtain their environmental engineering degree can find employment in consulting companies, industrial production facilities that need to comply with pollution requirements, universities and commercial labs. An individual that has a master of science degree in environmental engineering can expect to earn anywhere between 45,000 and 160,000 dollars, depending on the industry chosen. A senior environmental engineer will earn an annual salary in the range from 60,364 to 152,880 dollars. An environmental health and safety director will earn between 113,500 and 161,100 dollars per year. Satellites, rockets and other equipment flying through the sky and into open space has been created by aerospace engineers. These professionals have extremely specialized skills that can be obtained solely through the right education program. Aerospace engineers have an exciting career in various fields like spacecraft creation, satellites, aviation and missile defense systems. Though the education programs usually involve an offline component, there are some opportunities for distance learning in the field. Most of the available online programs provide a master’s degree. These are open to individuals that have graduated with a bachelor’s degree in any other engineering field or science. An aerospace engineer can expect to earn a really lucrative salary. The median annual wage in the field is 76,575 dollars, PayScale reports. Some of the best aerospace engineers can expect to earn up to 120,000 dollars. Individuals that have a master’s degree in aerospace engineering will earn the best salaries in the field of mechanical engineering. A senior mechanical engineer can earn up to 162,000 dollars. Biomedical engineering enables professionals to apply the principles of engineering to the field of biology. A highly specialized and intriguing discipline, biomedical engineering also provides excellent employment opportunities. A number of schools have online biomedical engineering programs that result in obtaining a master’s degree. Individuals that have a bachelor’s degree in any engineering field are the best candidates for such programs. These academic programs combine engineering, medicine and biology to enable professionals to create better medical procedures and devices. The majority of online biomedical engineering degrees feature an offline component, as well. Students will usually be required to complete laboratory work as a part of their practical training. A biomedical engineer will earn a median annual salary of 62,666 dollars. The best professionals in the field and the most experienced biomedical engineers will earn up to 97,462 dollars per year. An individual that has a master of science degree in biomedical engineering can also work as a product developer, research engineer or medical device quality engineer. These professionals have similar salaries to biomedical engineers. When it comes to nuclear engineering programs, very few colleges provide distance learning opportunities. Almost all of the online programs feature an offline component, as well, because of the course specifics. Nuclear engineers focus on electricity production and the creation of products that utilize radiation energy. The highly specific nature of their work requires the selection of the best possible college. Online programs will usually result in getting a master’s degree. Such programs are typically available to individuals that have already completed a bachelor’s degree in any general engineering discipline or a science like physics. The median annual salary of nuclear engineers is 79,895 dollars, PayScale reports. Beginners in this field that have zero to five years of experience will earn an average of 71,000 dollars per year. The best and most experienced nuclear engineers can expect to earn up to 128,000 dollars per year. Structural engineering is usually included as a sub-discipline in civil engineering programs. Finding standalone education opportunities is difficult and most of the programs will result in a master’s rather than a bachelor’s degree. Online bachelor’s programs in the field of structural engineering require approximately six years to be completed. The typical duration of a master’s program is approximately two years. There could be fully remote programs that students can benefit from but most colleges have offline requirements for the completion of their structural engineering programs. During the course of the studies, the focus will be on structure behavior and environmental loads like earthquakes or other natural disasters. Structural engineers should be capable of making predictions about the durability of buildings and the best ways to make them more resilient. A structural engineer will earn a median annual salary of 64,179 dollars. Beginners in this field that have zero to five years of experience can expect to earn 59,000 dollars. The best and most experienced structural engineers will be capable of earning up to 94,860 dollars per year. Manufacturing engineers have a very practical profession and they can find employment in nearly every field that involves manufacturing (from making toys to heavy machinery production). A number of schools have excellent manufacturing engineering degrees that combine theoretical background information with practical training. These programs can also be completed online. Both bachelor and master programs are available for the individuals interested in pursuing a manufacturing engineering degree online. The master programs are usually open to individuals that already have an undergraduate degree in a general engineering field. An individual that works as a manufacturing engineer can expect to earn an annual salary in the range from 48,523 to 86,057 dollars. A senior manufacturing engineer will get access to better payment in the range from 62,322 to 109,711 dollars per year. Most individuals interested in pursuing a systems engineering online degree will have to enroll in a master’s program. A bachelor’s program that specializes in the niche is usually rare. System engineers are responsible for the development and execution of system strategies that are applicable in almost every field and industry. Once the education program is completed, system engineers will get to develop complex products and even manufacturing processes. Anyone interested in pursuing this degree should have a strong background in math and physics. These are the core disciplines that establish the foundation of nearly every engineering program. A systems engineer that specializes in the IT field can expect to earn a median annual salary of 65,587 dollars per year. The best paid professionals in this field earn up to 100,690 dollars per year. A senior systems engineer can expect to earn a median annual salary of 96,693 dollars per year. Online architectural engineering programs prepare students to apply the principles of engineering to the construction of homes, public buildings and commercial property. Their main job is to guarantee both the safety and the functionality of the construction. A master’s program in the field can be completed within two years. Candidates will be required to have a bachelor’s degree in a general engineering discipline or a scientific discipline. An architectural engineer earns a lucrative median annual salary of 60,563 dollars. The national average is 59,000 dollars and beginners in the field can expect to earn seven percent less than this average. The best paid architectural engineers earn almost 75,000 dollars per year. Mining engineering programs feature campus work like conducting geological surveys and overseeing mining operations. Because of these specifics, it’s impossible to find a program that provides 100 percent online completion opportunities. Individuals that have a bachelor’s degree in engineering or geology can pursue a master’s degree in mining engineering online. The students will learn about the basics of mining operations and the managerial procedures that will result in a higher level of safety and enhanced productivity. Individuals that want to work as mining engineers need to have at least a four-year degree. Pursuing a master’s degree, however, will provide even better employment opportunities. The demand for mining engineers is expected to grow by nearly 18 percent in the years until 2018, statistics suggest. These professionals can also expect to earn lucrative salaries. The median annual salary for mining engineers is 71,588 dollars and the best-paid professionals in the field earn up to 106,000 dollars per year. Power or energy engineering is a great discipline and you’ll find various great online programs that will enable you to earn a master’s degree. These programs give students access to advanced information about electrical system and network engineering. Power engineers that have a graduate degree learn everything about the theory and the practical dimensions of safely designing a functional power network. The good news is that many power engineering programs don’t have an offline component, which means that the entire academic experience can be completed from a distance. A holder of a power engineering degree can expect to earn a median annual salary of 72,988 dollars per year. The best professionals in the field and the most experienced power engineers will enjoy salaries of up to 104,400 dollars. Such a degree gives students excellent opportunities to find employment in a vast range of agricultural production sub-fields. Bachelor’s degrees in agricultural engineering are rare. Most individuals that have a bachelor’s degree in science can go on to pursue a master’s program that specializes in agricultural engineering. Though distance learning opportunities are available, most of the programs will also feature an offline practical component. These online courses discuss a wide range of issues from food farming to waste management. A constantly expanding world population and new agricultural challenges have increased the demand for such specialists. Thus, pursuing an online degree is a wonderful possibility for ensuring professional success. The demand for agricultural engineers is growing and these professionals will also enjoy lucrative salaries. Based on their level of experience, these experts can expect to earn anywhere between 56,000 and 84,000 dollars per year. Mechanical, technical and electrical engineering disciplines combine together in the mechatronics engineering degree. Professionals that have this degree are capable of designing, maintaining and repairing automated equipment that is used in a vast range of industries. Just like in the case of most other specialized engineering degrees, colleges have online mechatronics engineering programs that result in obtaining a master’s degree. Individuals interested in this degree will learn a lot about electronics, computer, robotics and work with automated equipment. Once the college courses are completed, an individual that has the particular degree can pursue employment in the fields of engineering, design and production management. A bachelor of engineering that has specialized in mechatronics can start working as a control systems engineer. This professional can expect to earn anywhere between 60,000 and 95,000 dollars. Mechatronics engineers can expect to earn salaries within the same range. Some of the best professionals in the field will earn annual salaries exceeding 114,000 dollars. These individuals can expect to find lucrative employment opportunities in the electronics field upon the completion of the online program. Various universities have online programs that will result in obtaining a master’s degree in materials engineering. The program will focus on the selection, processing and characterization of engineering materials. The master’s program is best for students that already have a bachelor’s of science in any other engineering discipline. Individuals that have strong interest in math and sciences will also find the program suitable. A materials engineer can expect to earn a median annual salary of 70,761 dollars, PayScale reports. The highest salary in this field is 105,405 dollars per year. Individuals interested in this program can either pursue a separate geotechnical engineering degree or look for this kind of specialization in a civil engineering master’s program. Both of the opportunities are available in the form of online programs. The geotechnical engineer has a really responsible job – this professional designs and oversees the construction of earth structures like dams. Geotechnical engineers may also work on rocket launch pads, roadway cuts, slope stability structures and the reinforcement of areas exposed to geological hazards like earthquakes. As with other specialized disciplines, this option comes with a master’s degree. It is open to individuals that have a bachelor’s of science degree in any general engineering discipline. A geotechnical engineer will earn a median annual salary of 60,669 dollars. Individuals that have anywhere between zero and five years of experience can expect to be paid 55,000 dollars per year. The most experienced and best-paid geotechnical engineers earn up to 85,910 dollars per year.